This unique installation at The Science Museum brings statistics and fashion together to explore one of the world’s most pressing issues. 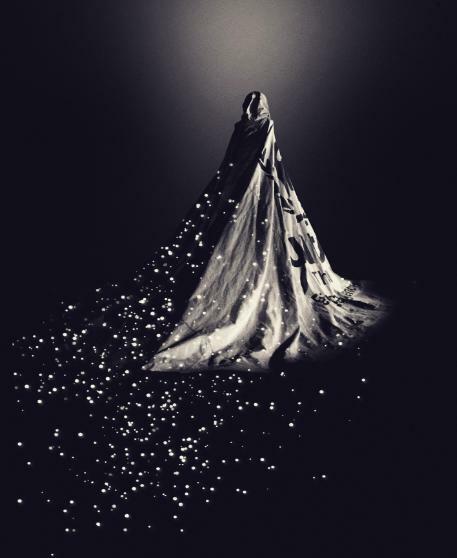 Created by award-winning artist and designer Helen Storey MBE RDI, and using innovative technology, the latest data and Helen’s voice in fashion, Dress For Our Time will delve into the complex matter of human displacement in a pioneering endeavour to change the social narrative of this complex topic. The dress itself is a decommissioned refugee tent which once housed a refugee family in Jordan and was gifted to the project by the United Nations High Commissioner for Refugees (UNHCR). In giving the tent a meaningful reincarnation as a public installation, Dress For Our Time transcends both data and fashion by humanising the numbers to tell a bigger story.